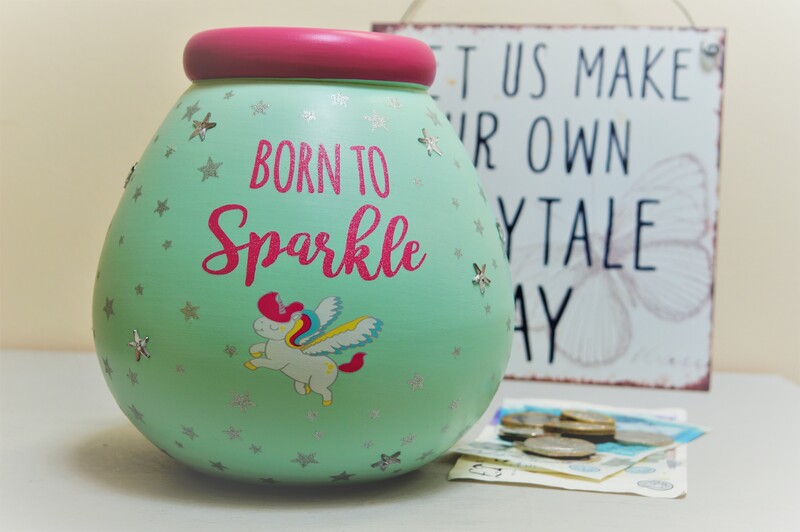 This is a delightful money pot is mint green and pink it has a delightful illustration of a unicorn flying it has silver glittery stars around with some star gems, it has the wording ” Born To Sparkle” in a pink glitter. 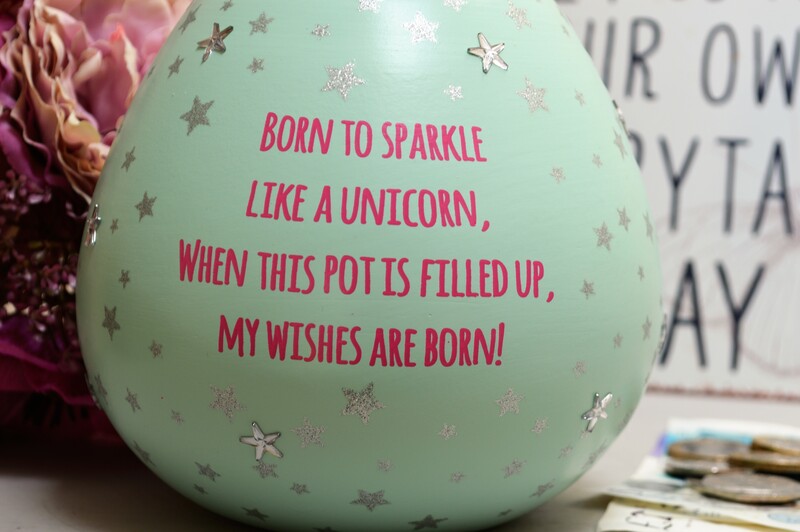 On the reverse it says “Born To Sparkle Like A Unicorn, When This Pot Is Filled Up, My Wishes Are Born!”. These pots make great presents and a really fantastic way to save up for that something special. 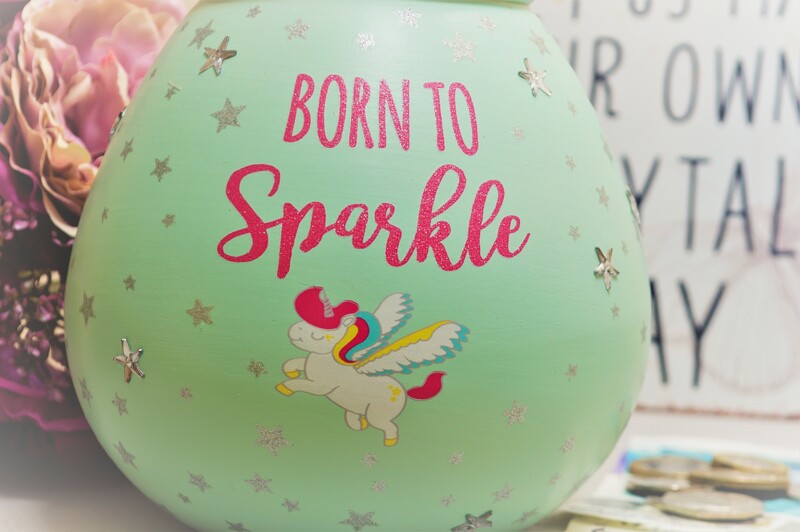 This is the perfect gift for any unicorn lover, young or old.